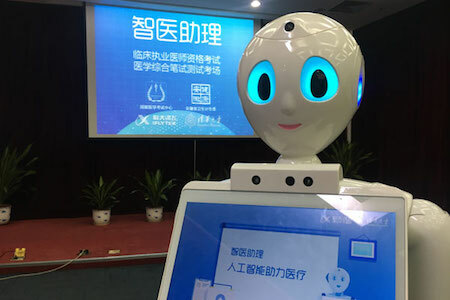 A medical robot created by Chinese artificial intelligence company iFlytek is the first to pass China's national medical licensing examination. The robot scored 456 points, 96 points higher than the required marks. The artificial-intelligence-enabled robot can automatically capture and analyze patient information and make initial diagnosis. It will be used to assist doctors to improve efficiency in future treatments, iFlytek said. Liu Qingfeng, chairman of iFlytek, said, "We will officially launch the robot in March 2018. It is not meant to replace doctors. Instead, it is to promote better people-machine cooperation so as to boost efficiency." Unlike the United States tech company IBM's AI-enabled Watson system, which only focuses on the treatment of cancer and major diseases, iFlytek is stepping up push to explore how to use AI to both cure cancer and train general practitioners. "General practitioners are in severe shortage in China's rural areas. We hope AI can help more people access quality medical resources." 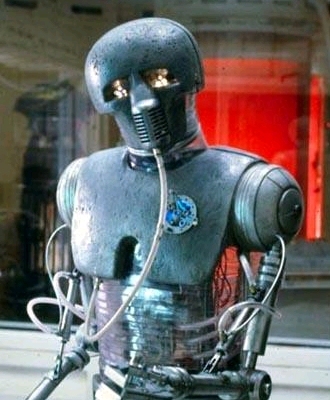 Consider also the autodoc from Larry Niven's 1970 novel Ringworld, which treats patients as well as examining and diagnosing their illnesses.